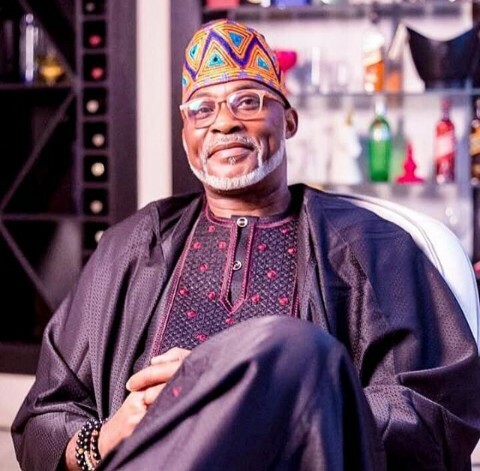 Top Nigerian Actor RMD disclosed on his IG page, he no longer get supprised when people who earn next to nothing buy Exotic rides. 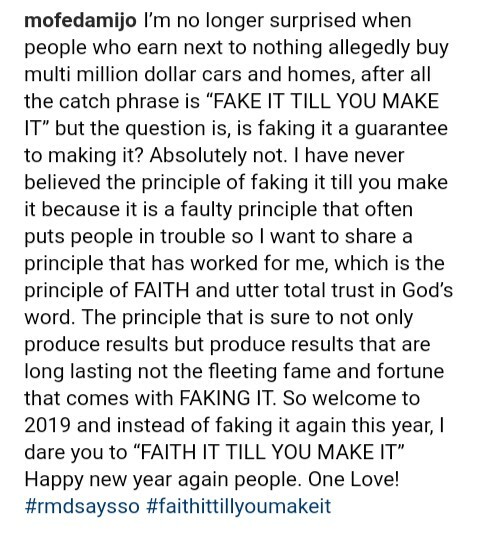 I’m no longer surprised when people who earn next to nothing allegedly buy multi million dollar cars and homes, after all the catch phrase is “FAKE IT TILL YOU MAKE IT” but the question is, is faking it a guarantee to making it? Absolutely not. I have never believed the principle of faking it till you make it because it is a faulty principle that often puts people in trouble so I want to share a principle that has worked for me, which is the principle of FAITH and utter total trust in God’s word. The principle that is sure to not only produce results but produce results that are long lasting not the fleeting fame and fortune that comes with FAKING IT. So welcome to 2019 and instead of faking it again this year, I dare you to “FAITH IT TILL YOU MAKE IT” Happy new year again people. One Love!